Grinding and sanding can take a toll on you machine. Are you looking for a durable machine that continues to provide you years of use? The Pioneer Eclipse 20" FM Floor Maintainer, Grinder & Sander is built with these things in mind. This machine is built with die cast aluminum on the housing to give you five times stronger casting than sand and other types material. The housing holds solid machined steel, helical-cut planetary gears that grants you with a smooth transfer of power from the robust 1 HP motor straight to your floor. The gears, oversized bearings, and seals will allow this machine to be used for decades of trouble-free performance. There is a 360 degree non-marking, vinyl bumper that will protect your furniture, walls, and other property from being damaged during operation. If you are looking for a smaller machine, take a look at our 17" FM Floor Maintainer which offers all the same benefits of this unit with a smaller base. Due to this machine's ruggedness, this floor buffer is great for sanding. Pioneer made a dust skirt that makes this machine even better for the job. Attach this skirt to the base of your machine and to your shop vacuum or backpack vacuum and you will be ready to start your work. Any dust produced during working will then removed to keep your work area free from dust. Be sure to pick up your pad driver (not included) along with some 20" scrubbing pads or 20" stripping pads for your new machine. 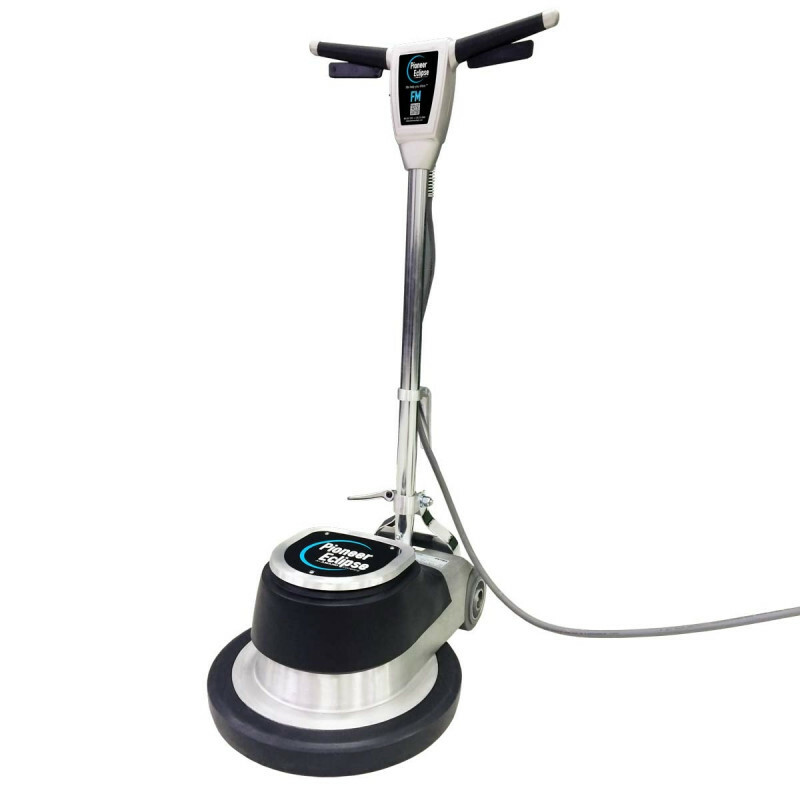 Customers who were interested in the Pioneer Eclipse 20" FM Heavy Duty Floor Buffer, Grinder & Sander were also interested in the following items. This is a review for the Pioneer Eclipse 20" FM Heavy Duty Floor Buffer, Grinder & Sander.